Hank Williams was an American singer-songwriter and musician who is often regarded as one of the most important singers and songwriters of the Twentieth Century. One of the founders of contemporary country music, he recorded 35 singles that became masterpieces of the genre and set the standard for later singers and performers. Known for a troubled and turbulent private life, Williams sadly passed away at the young age of 29. Born and raised in a poor household in Alabama, Williams started singing in the church choir at an early age. After dropping out of school, he began playing guitar and started hanging out with “Tee-Tot” Payne, a street performer named who played an instrumental role in shaping up his musical style and abilities. Hank Williams’ family relocated to Montgomery, Alabama in 1937. He would gain the title of “Singing Cowboy” after performing on local radio station WSFA. For the next few years, Williams honed his singing and guitar skills at small bars and nightclubs. He started selling songs to various country recording artists across the country and was eventually signed by Fred Rose of MGM Records in 1947. Within a year, he recorded a string of hits including “Move It On Over”, “Honky Tonkin'”, and “I Saw the Light”. In 1948, Williams joined the Louisiana Hayride, a popular radio broadcast live on KWKH station. Even with his notorious reputation for his hard-drinking lifestyle, he proved to be a massive success on the program, scoring a major country with “Lovesick Blues” in 1949. That same year, Williams made a highly successful debut at the Grand Ole Opry and scored several number one hits. After years of drug abuse, Williams was expelled from the Opry in 1952. He died in the backseat of his car while traveling to perform on New Year’s Day at the Municipal Auditorium in 1953. The official cause of death was hemorrhages in the heart and neck. His funeral, which took place at the Montgomery Auditorium, was the largest event ever held in Montgomery. He is buried in Oakwood Cemetery Annex. Williams’ grave is still perhaps one of the most visited burial sites in Alabama. 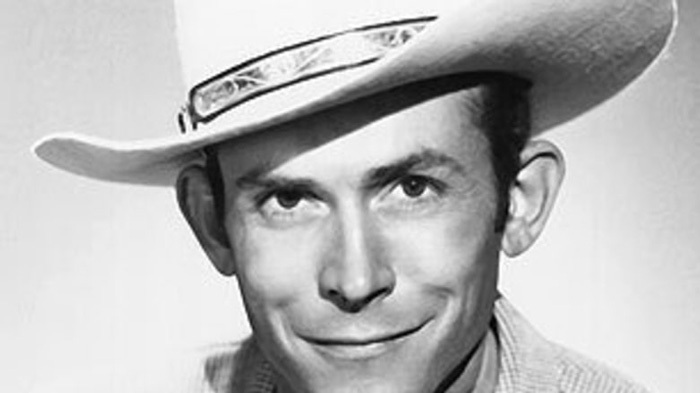 Hank Williams earned numerous awards and accolades, including a Grammy for Best Country Vocal Collaboration, 3 Grammy Hall of Fame Awards, Grammy Lifetime Achievement Award, several CMA Awards, and a posthumous special citation from the Pulitzer Prize Board. Long known for a turbulent, troubled personal life, suffered a long battle with prescription drugs and alcohol. He was married twice. Williams had two children: his son Hank Williams, Jr. became a famous singer in his own right, and his daughter Jett Williams is also a country singer.